The region around the “Styrian Sea”, the Grundlsee, is ideal for unforgettable swimming holidays with alpine touch. Not only is there hardly a healthier “alpine combination” than walking and swimming, there is hardly one that fits better in this area and brings more fulfillment. Crystal clear water in drinking water quality, mysterious lakes and streams, lush forests, relaxed hikes in a fantastic mountain panorama, make the heart of every nature friend beat faster. Small groups, competent guiding and a well-located and managed accommodation are the guarantee for enjoyable experiences in a class of its own. Hardly anywhere in the world is there a similar variety of farmed alpine pastures than in the idyllic Großarltal in Salzburg. This high valley stretches from the world-famous Liechtenstein Gorge in St. Johann/Pongau to the impressive valley behind the Hüttschlag National Park community. Surrounded by a fantastic mountain panorama and a fine ski- and ski tour area in winter, the valley of the alpine pastures offers everything that makes the heart of hikers and alpine “wild swimmers” beat faster. Thus, it is ideal as a base camp for adventure-intensive alpine swimming and hiking holidays. In addition, our accommodation, the centrally located and family-run “Gästehaus Anna”, spoils you with comfortable rooms and apartments and a popular, rich breakfast buffet. General information below in the article or directly to the infobox with detailed program, dates, prices. 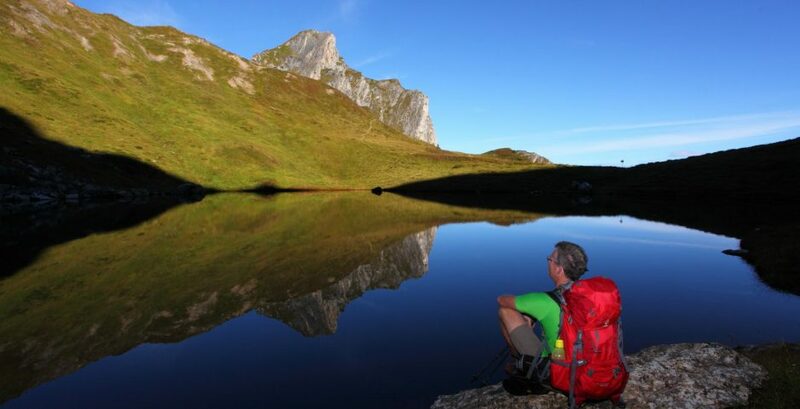 Hike with us to the most beautiful mountain lakes in the Tuxer valley and swim them with us! With the Jenneweinhof we offer you a for our activities ideally suited, centrally located hotel-garni. 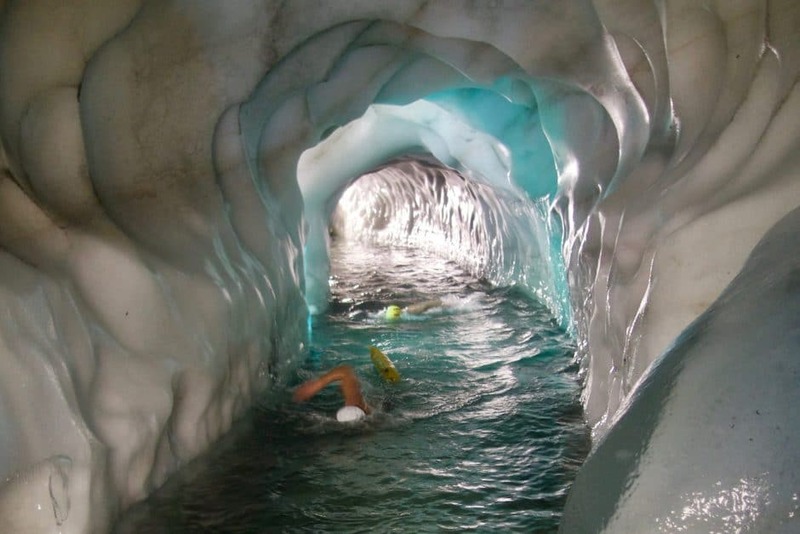 The program is flexible and “ascending” designed: we start at the cozy and easily accessible Almsee, day after day we reach higher to more challenging hiking and swimming destinations until the challenging final at 3200m: the effervescence of the ice lake in the natural ice palace of the Hintertuxer Glacier. A breathtaking experience in every way. But also one that you will never forget in your life. 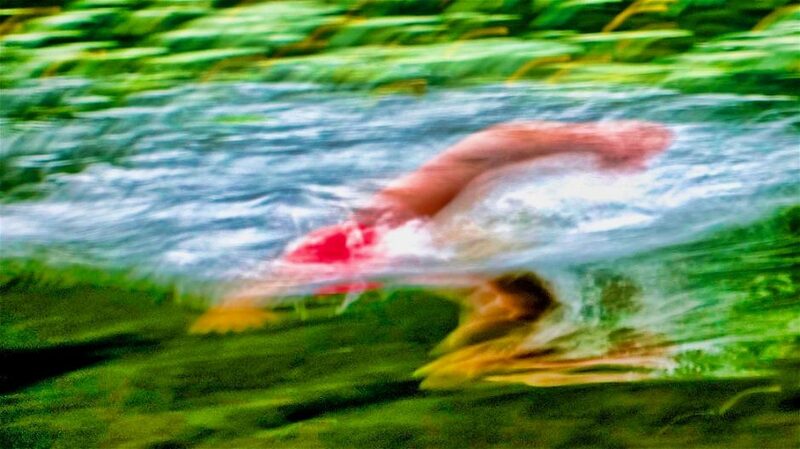 This is real alpine-swimming for the discerning. General information in the article or directly to the info box with detailed program, date, price.